General Motors kicked off the New Year with an ad campaign demonstrating just what the 2019 Chevrolet Silverado 1500 has to offer American drivers. Dubbed “A Little Bit Country, A Little Bit Rock ‘n’ Roll,” the ad puts the spotlight on people from all walks of life. The ad keeps in tune with Donny and Marie Osmond’s classic song of the same name. The minute-long commercial spotlights real Silverado 1500 drivers, who are farmers, businessmen, construction workers, fishermen, soldiers, and industrial workers, perfectly demonstrating America’s love for a reliable, versatile pickup truck. “This spot celebrates the fact that the all-new Silverado is designed and engineered for all facets of America,” Chevrolet said in a statement. The ad debuted during the College National football game. It’s the first of three video spots designed to showcase how drivers use their Chevrolet Silverado 1500 in their daily lives. 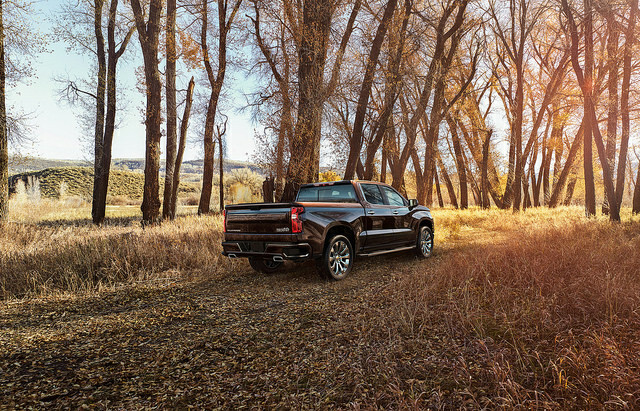 The second ad, titled “Official Truck of the Real People,” focuses on how the 2019 Chevrolet Silverado 1500 is perfect for work and play. The third ad, dubbed ”Tailgates,” shines the spotlight on the segment-exclusive power up/down tailgate. Both ads will air digitally and in select theaters later this year. Put a little more country and rock ‘n’ roll in your life by test driving the Silverado 1500 at Bradshaw Chevrolet.